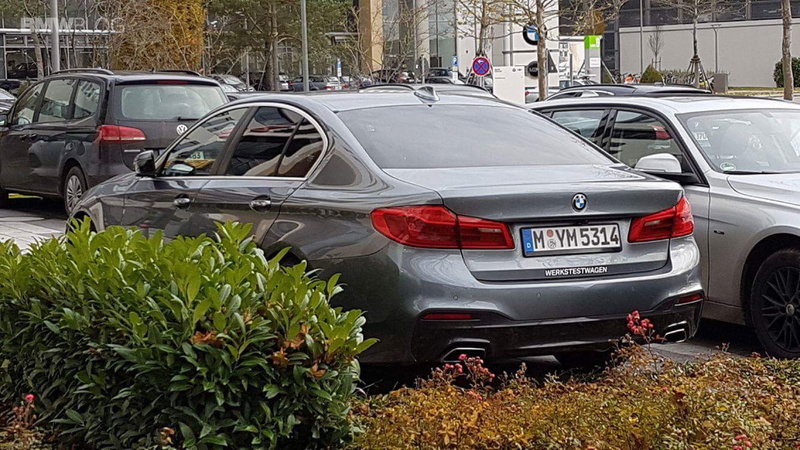 The new 2017 BMW G30 5 Series was spotted again in Munich. 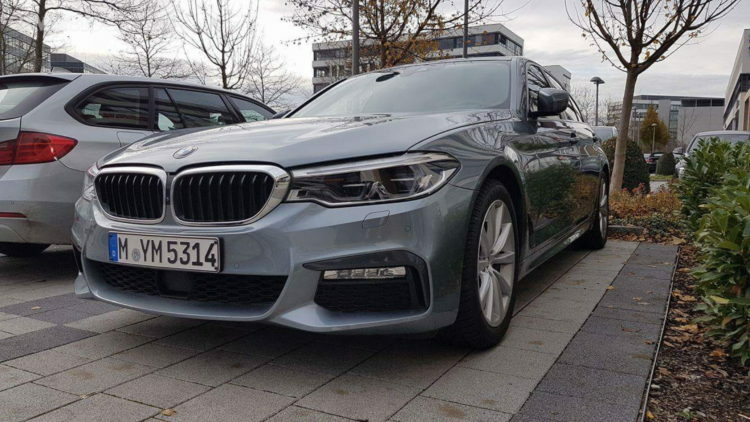 The seventh-generation 5 Series is just months away from its official market introduction and just days away from being driven by journalists from around the world. In the mean time, several pre-production models are being driven by BMW engineers in the Bavarian capital offering us the opportunity to observe its design details. 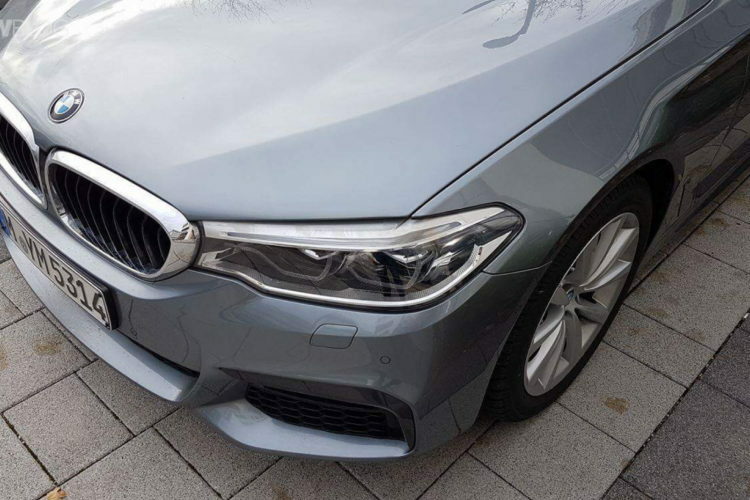 Painted in Glacial Silver Metallic, the car spotted is likely the M550i model equipped with the M Sport Package which will be available starting March 2017, just a month after the first 5 Series models are being launched. The super sporty optional pack includes an exterior M Aerodynamic package – front apron with larger air intakes, side skirt trim, a diffusor-style rear apron and an exhaust system with two rectangular tailpipes- lowered M Sport suspension and M light-alloy wheels, in either 18″ or 19″. This pre-production model comes with winter tires already, as required by the German law. In the interior, the M Sport package includes sports heated seats and a specific cover made, an M Sports leather steering wheel, aluminum trim and some specific details such as the illuminated M entry rails. In Germany, the price for the M Sport package varies, depending on the motorization, between 4,600 and 5,500 euros. The new BMW M550i is only available in combination with the all-wheel drive inherited from the previous 550i. Just like the unofficial predecessor, the M550i also relies on a V8 TwinTurbo with a displacement of 4.4 liters, but now drawing 462 hp. 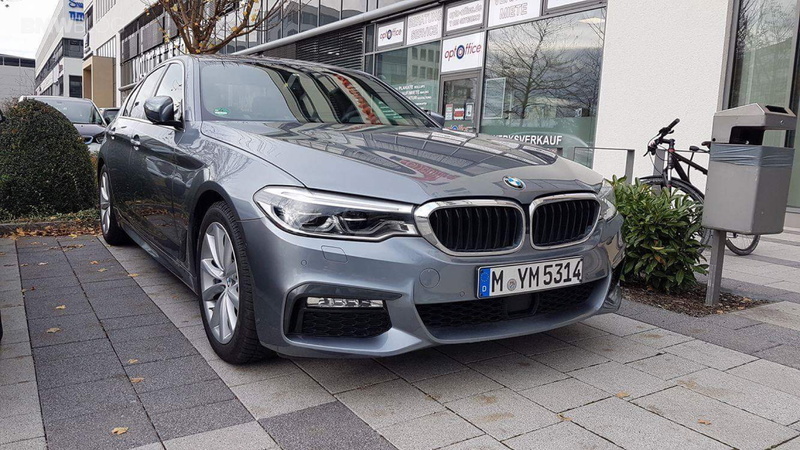 Thanks to the reduced weight, this power is sufficient to accelerate from 0 to 100 km/h in just 4.0 seconds, and to move on the same level with the M5 of the previous F10 generation.